With advancements constantly being made in the world of online technology, online casinos are often seeking to get a leg up on their competition and as a result, the industry is more popular than ever. As technology has developed in all industries, people have started digitalising their products and the casino industry is no different. Playing at a casino online is now arguably much more popular than going to a land-based one due to its accessibility and lack of time restrictions. With competition between online casino operators being so great, one way of gaining an upper hand on the competition is to have some great bonus offers, as well as promotions and games. Welcome bonuses and casino promotions are now increasingly competitive, and they’re now seen as a way of enticing new players to online casinos. They’re a great way to ensure that customers register, sign up, and most importantly, play the games, whether those are traditional table games or slots. At onlinecasino.ie, we’ve looked at a vast range of casino offers and promotions that’ll help you decide which casino you’d like to join and win big jackpots from. We’ve reviewed the welcome bonus that’s on offer at WildSlots, so that you don’t have to, and it’s one of the best around. At WildSlots, new players are welcomed with a 100% bonus when they deposit up to £50 on the casino. In addition to that, players are then awarded 50 spins on the slot game, Wild Wild West. WildSlots’ welcome bonus works like many others and it works as a deposit bonus offer. A first deposit bonus is relatively self-explanatory and it’s a bonus that customers can claim when they place a deposit at an online casino. 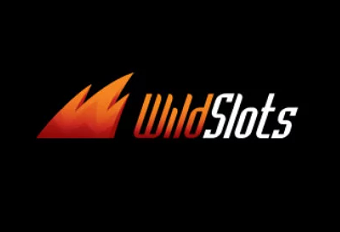 To be eligible for the welcome bonus at WildSlots, all players have to do is sign up and open an account, which is a quick process and the instructions are easy to follow. Once new players have registered and made their deposit, they’ll receive the 100% bonus on top in addition to the 50 spins on Wild Wild West. That’s not all though, as there’s another bonus on the day after signing up, where players receive a 50% reload bonus up to £50. To take advantage of this, players must make a minimum first deposit of £20, while the maximum eligible is £50. Once a deposit has been made, the bonus will be instantly credited to the player’s account. It doesn’t matter if you’re a complete novice to the world of online casino or a veteran of the slots, as WildSlots’ VIP program suits all types of gambler. Players will earn reward points based on the games they play at the casino. The points-based system allows users to progress through seven different stages, from bronze to prestige, with some exciting rewards awaiting on the way. New customers who have deposited will instantly become a part of this exclusive club at the casino and to earn points, all they have to do is simply play in real mode on the range of games, including the video slots, that are provided. Some of the generous rewards aforementioned include free games, extra deposit bonus, free spins as well as some fantastic cash prizes. One of the most exciting advancements in the world of online casino is the introduction of mobile gambling. Mobile gaming allows players to enjoy all their favourite games and everything that a casino has to offer, whenever and wherever they want. WildSlots also has a mobile casino which is available on both mobile and tablet devices, giving you the opportunity to play casino games while you’re on the move. It’s a very easy process to register at the mobile casino and it’s possible to do so in minutes as long as you have a connection to the internet. There are special bonuses designed to target users to play on their mobile devices. The casino also sets deposit limits, meaning that you’re protected and that your gambling experience is responsible. When you accept any promotions, including free spins, first deposits and other cash prizes, you must first check the specific terms and conditions of use for your bonus before enjoying it. There are usually playthrough and wagering requirements to check before taking part. Make sure that you’re fully aware of all the facts, conditions and wagering requirements surrounding a deposit bonus or any other welcome offer before using it. There is nothing worse than winning on a casino bonus, then realising that you’ve misread or misinterpreted some of the smaller details that are mentioned in the terms and conditions listed in the promotion. WildSlots require players to wager their first deposit at least 50 times before being able to withdraw and there is also a time limit to take advantage of free games, that being one day.